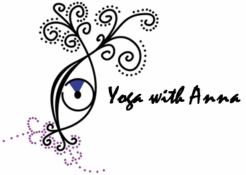 ​Welcome to Yoga with Anna, I run yoga classes & workshops from my home studio, your home, or place of work. There are daytime and evening classes during the week days and workshops at the weekends and yoga holidays in the UK and further afield. I teach Vinyasa Flow, Prenatal, Postnatal and Restorative Yoga. My classes are for everyone and include yoga breathing exercises, meditation and relaxation (with warm fluffy blankets and lavender eye pillows). Classes are small so I can ensure we work at your pace and towards your goals and provide necessary adjustments so you get as much out of your class as possible. ​Take some time out of your busy schedule, let me help you strengthen your being and soak up ​some energy.